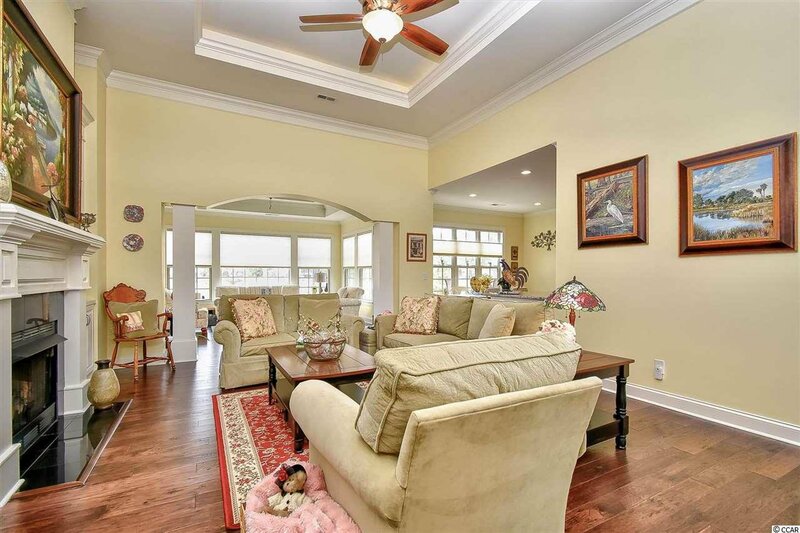 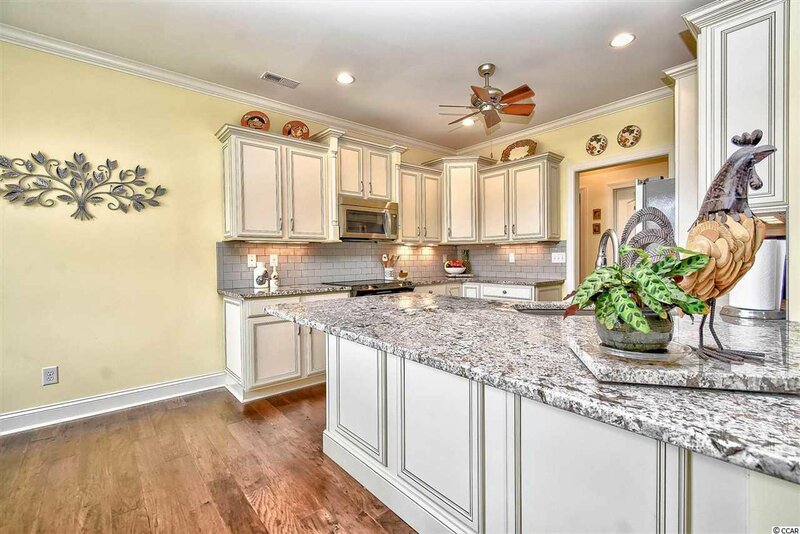 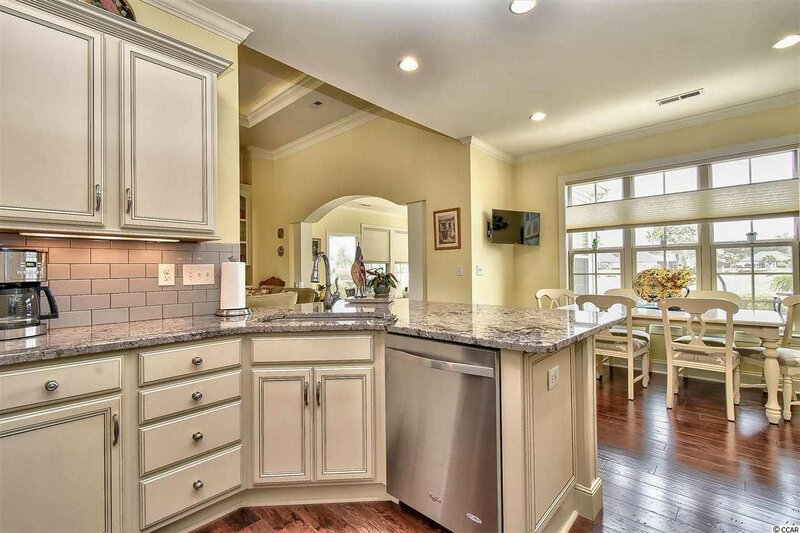 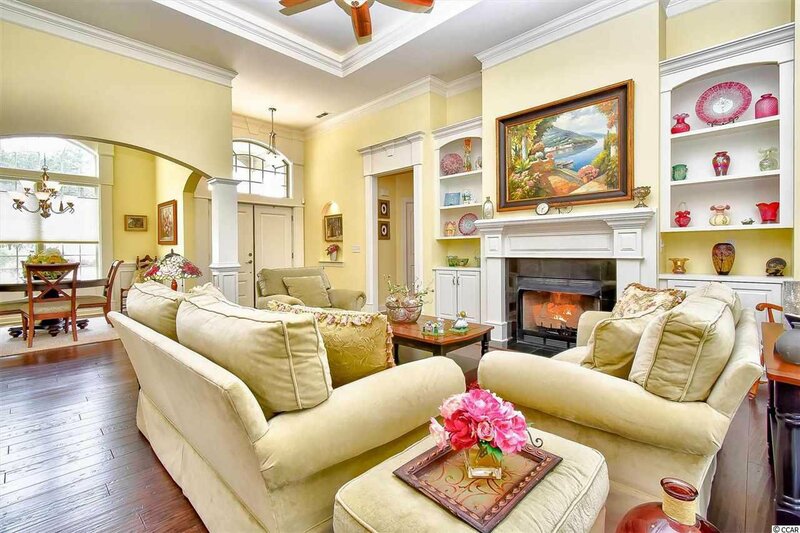 Beautifully landscaped Lakefront home in desirable Plantation Lakes community. 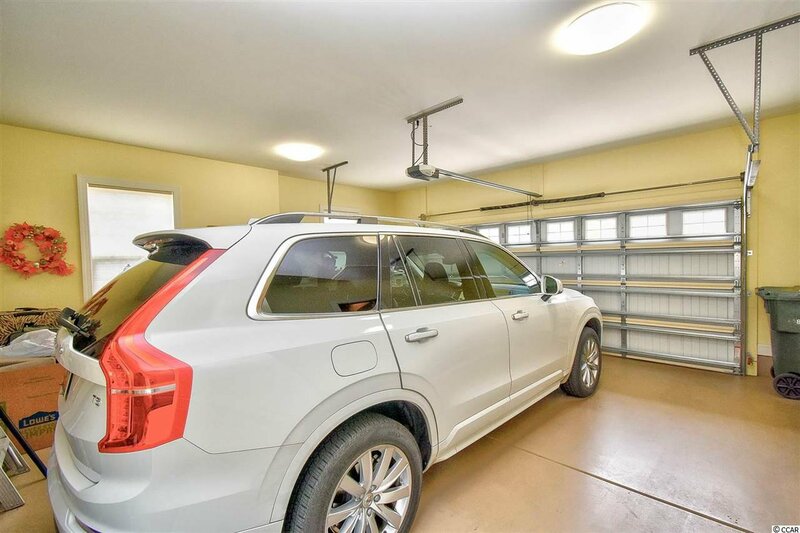 Large driveway brings you to the side loading garage or the covered entry. 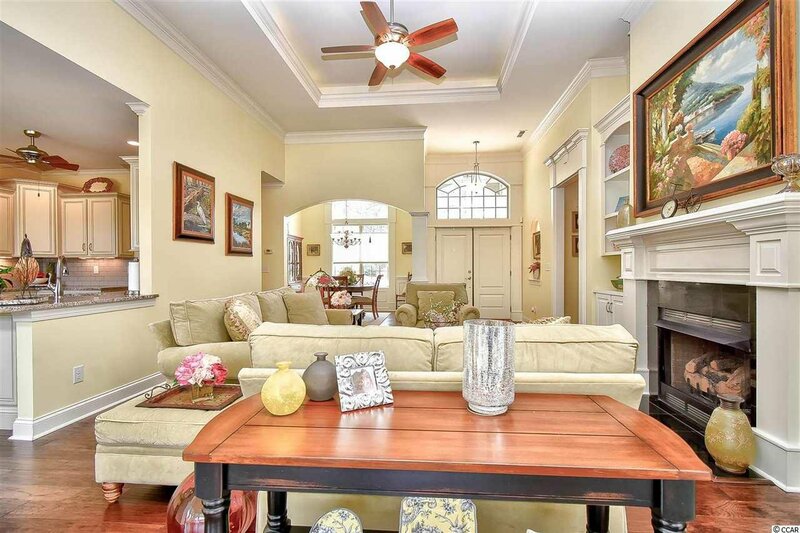 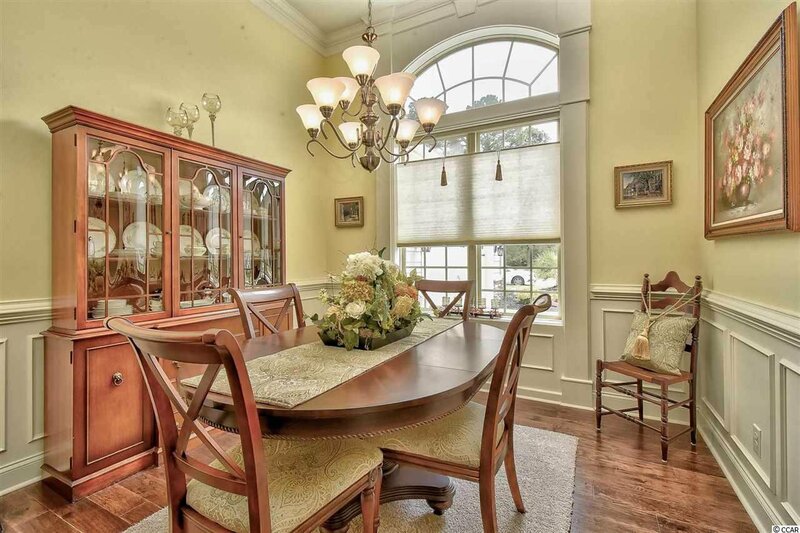 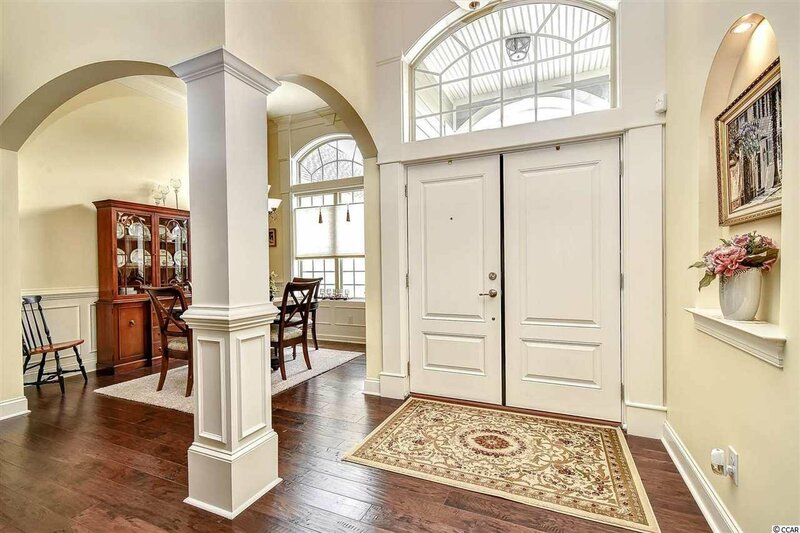 Enter foyer through double doors with large windows above and go through arched entryway into the formal dining room. 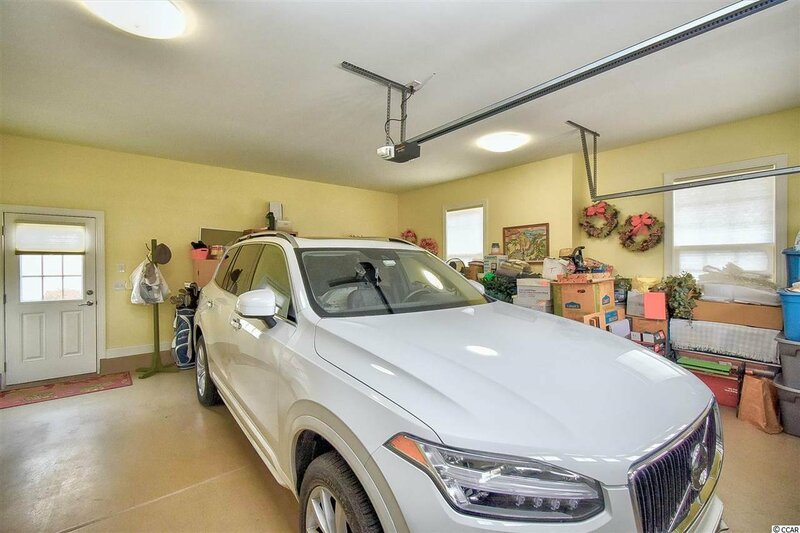 Be welcomed to the rest of this lovely open concept home featuring a gas fireplace, crown molding, high ceilings and gleaming hardwood floors. 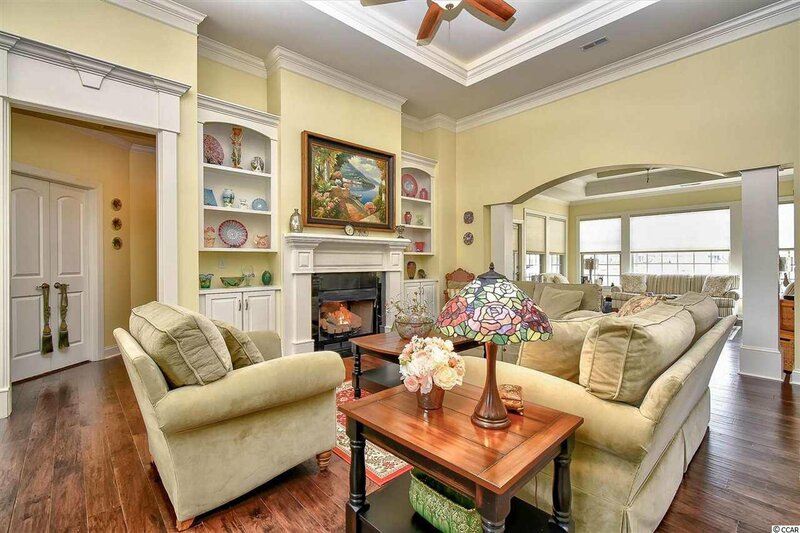 Chose a book from the built in bookcases and relax by the cozy fire. 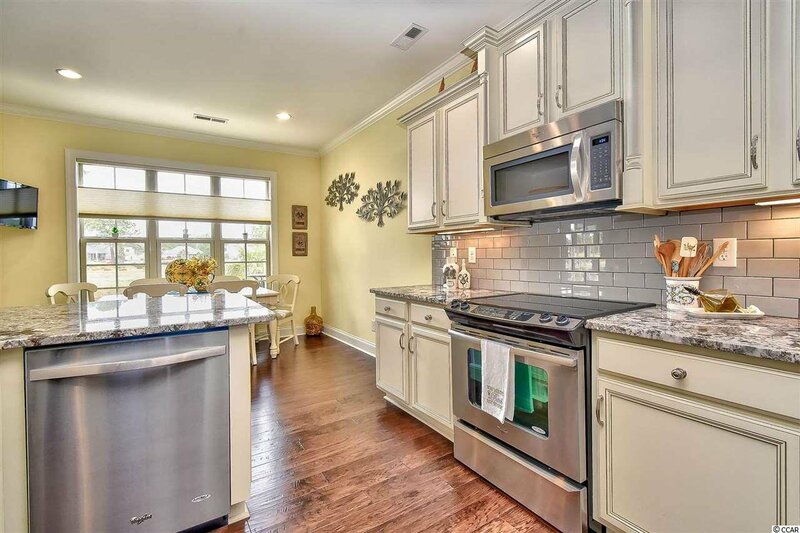 In the kitchen you will see many upgrades including granite counter tops, stainless steel appliances and a unique, custom back splash. 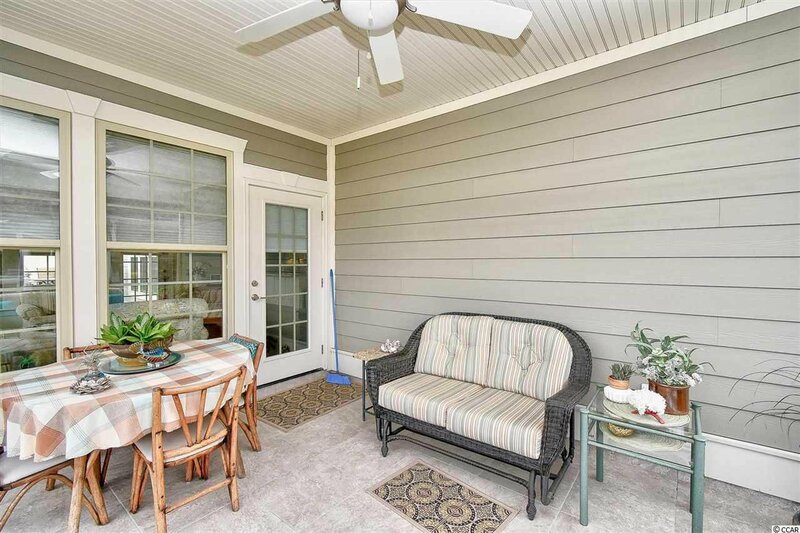 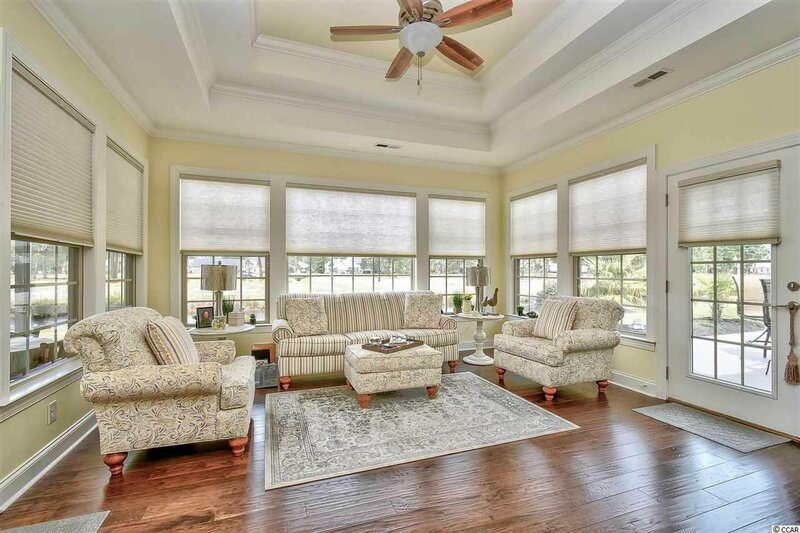 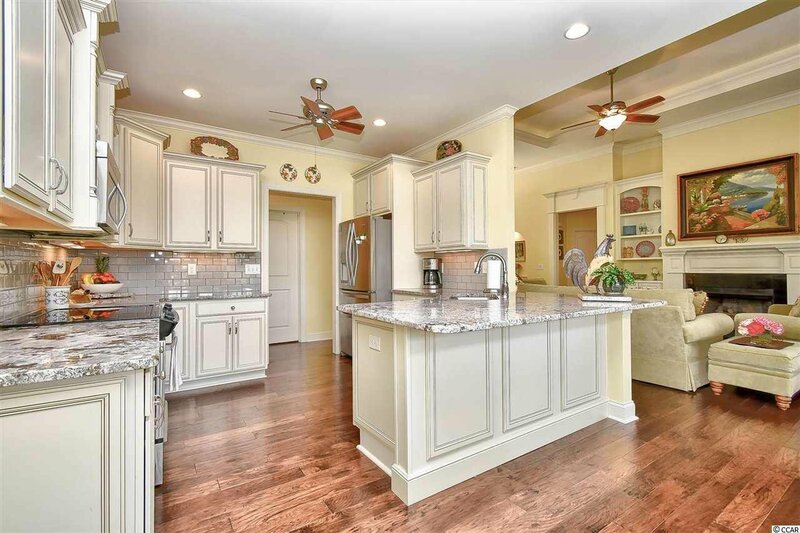 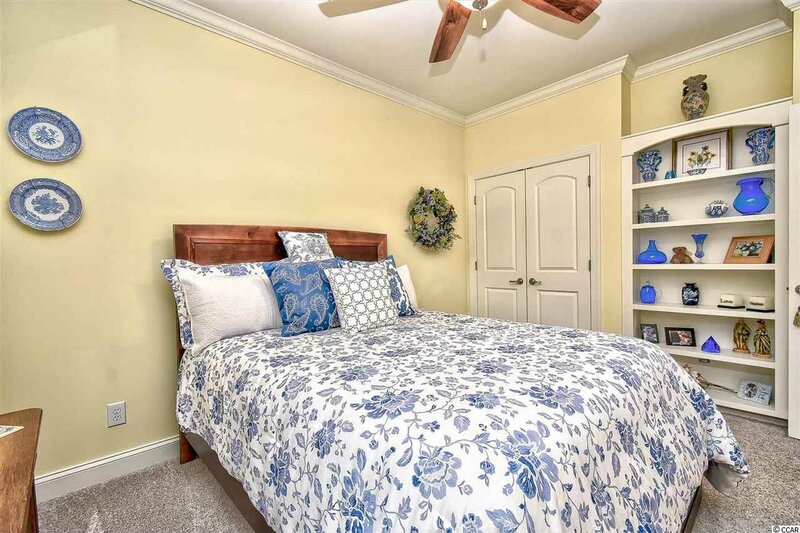 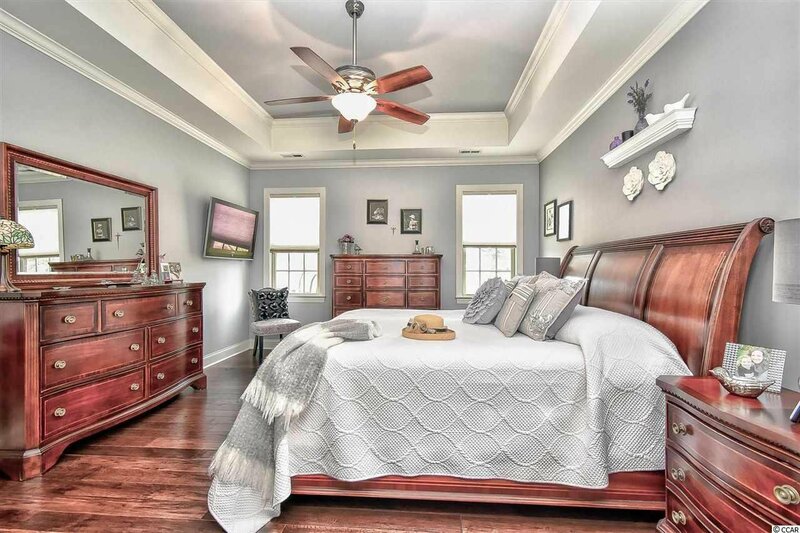 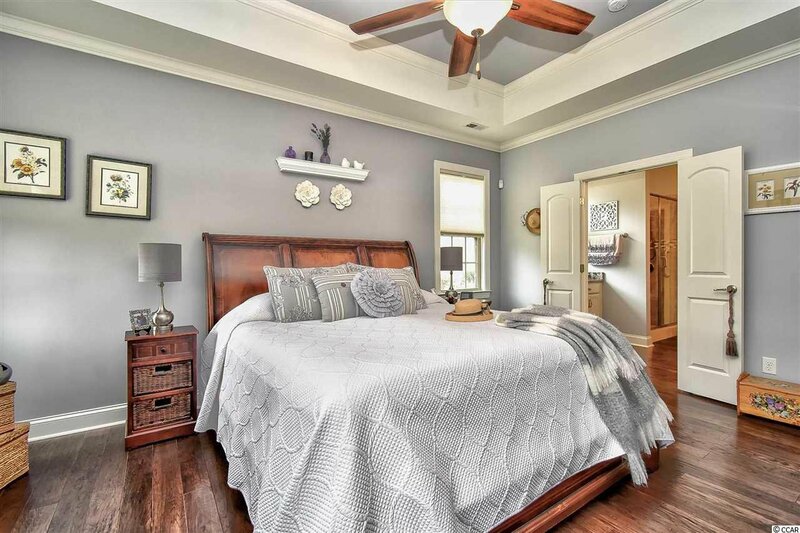 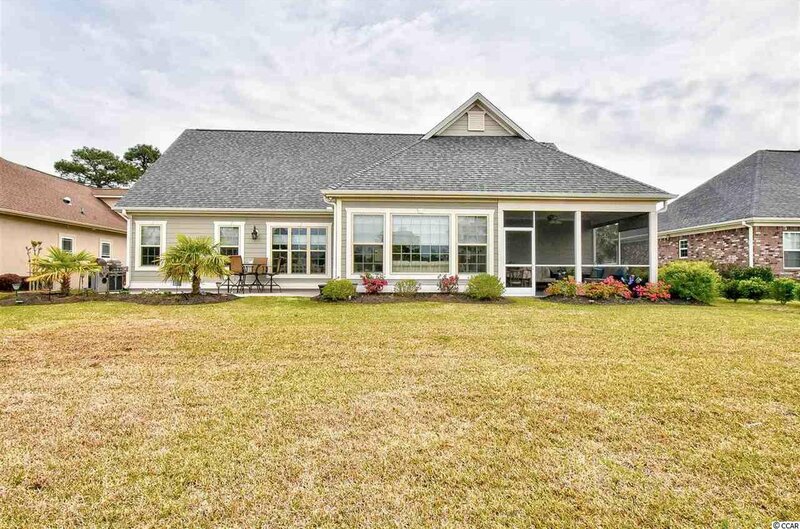 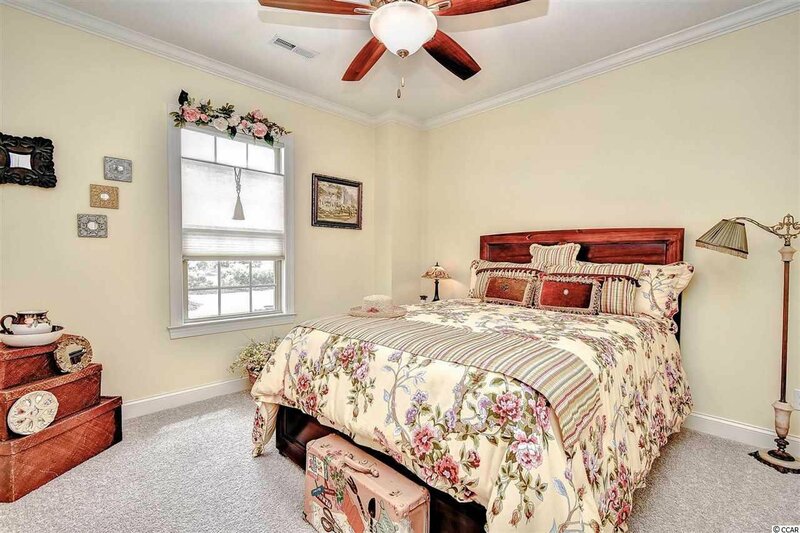 There are eight ceiling fans located throughout the home, including all bedroosm, master bath, family room, Carolina room, kitchen and screened in porch! 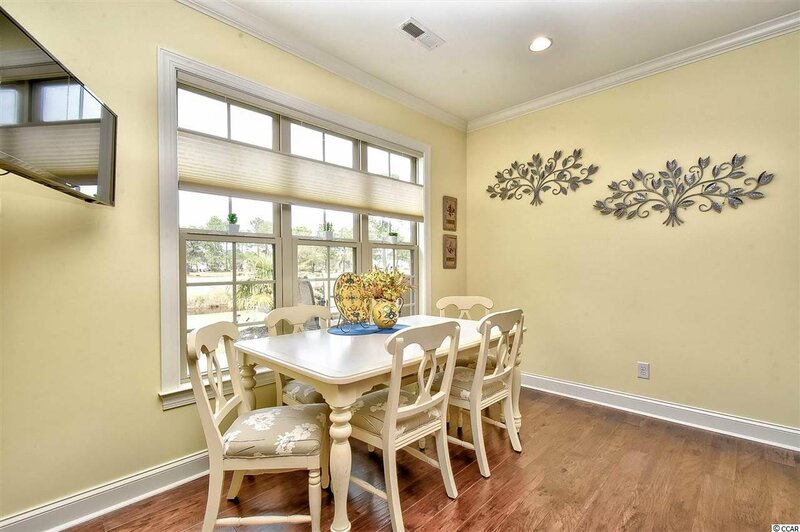 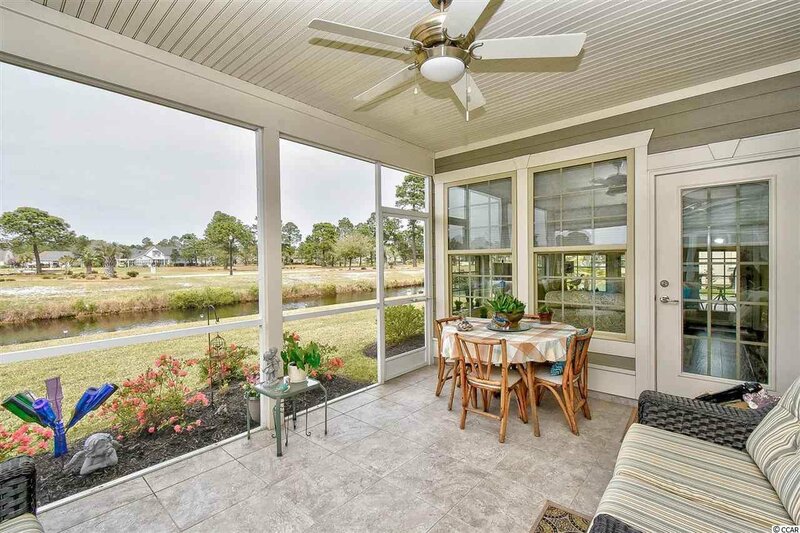 Take your coffee and sit in the breakfast nook that features plentiful windows to bring in the morning South Carolina sunshine! 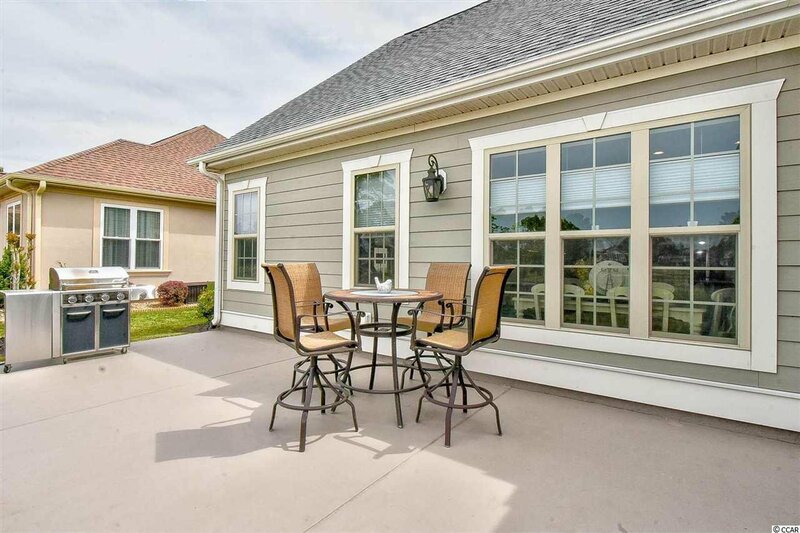 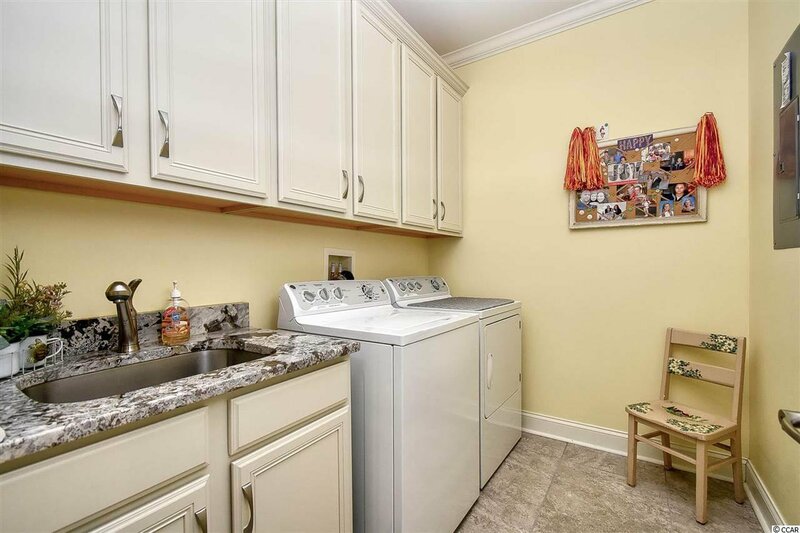 This home offers many conveniences with a separate laundry room and two-car garage. 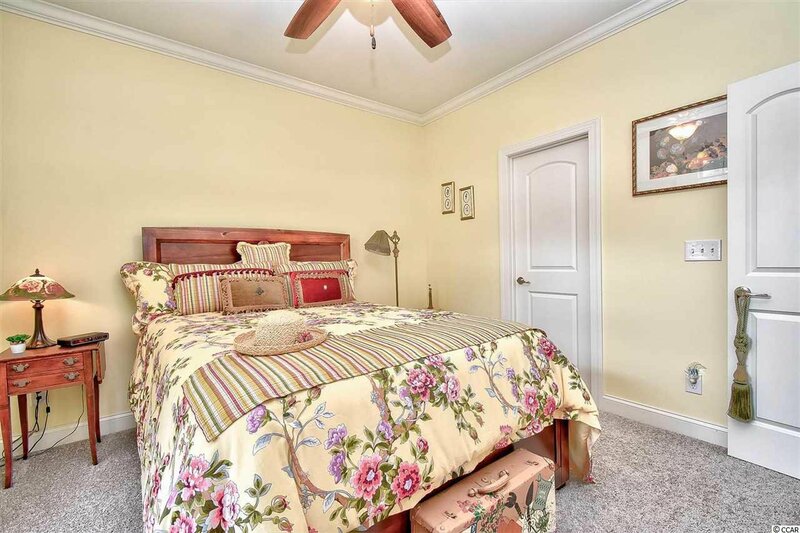 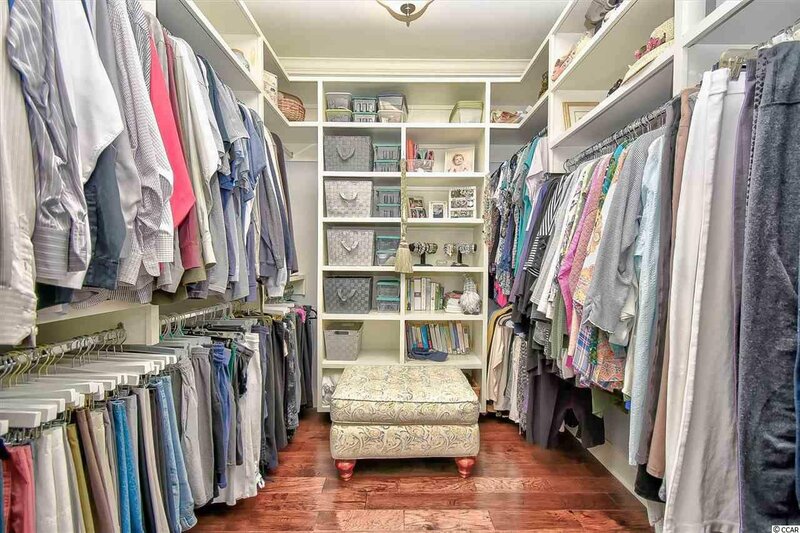 The master bedroom offers a huge walk-in closet and sitting area. 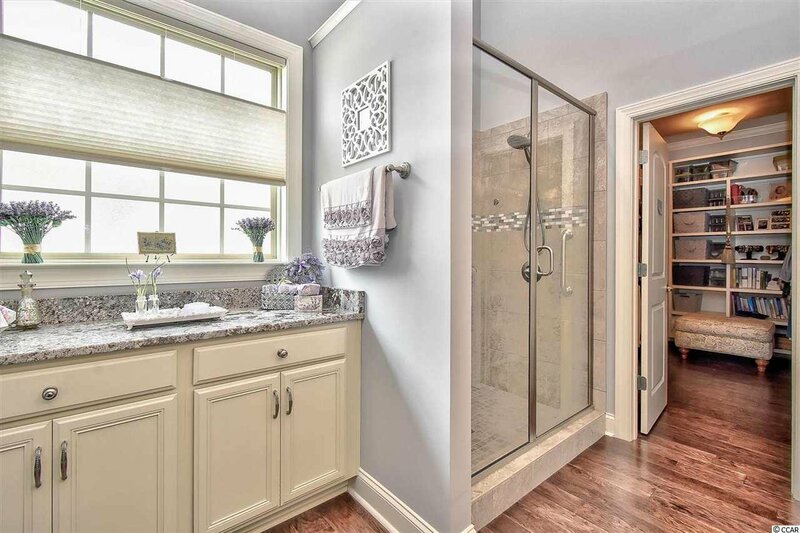 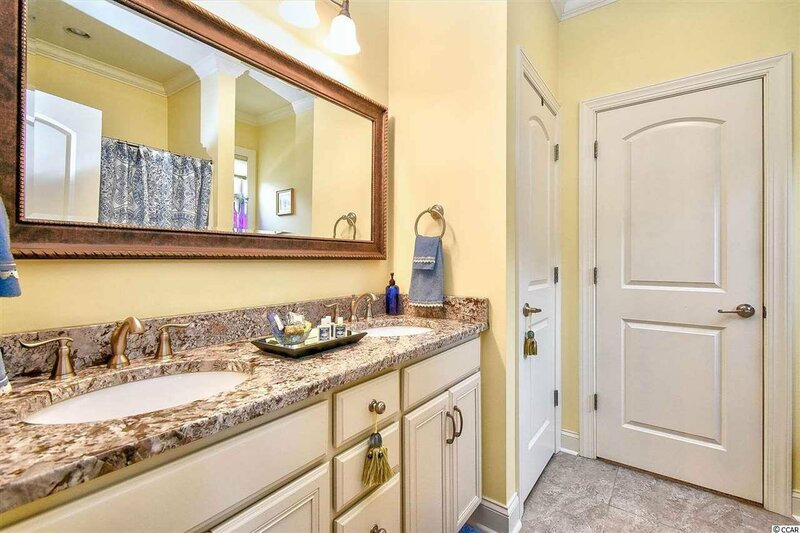 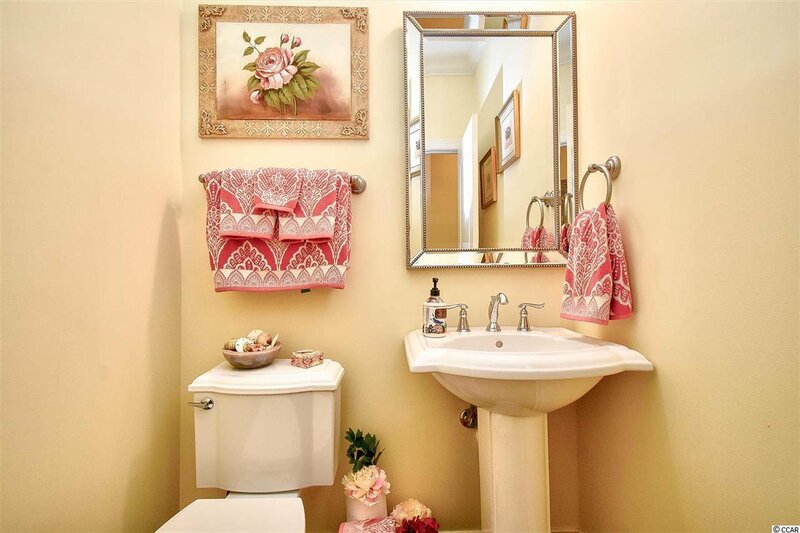 The large ensuite master bath has many upgrades with double sinks, large vanity and a custom tiled shower. 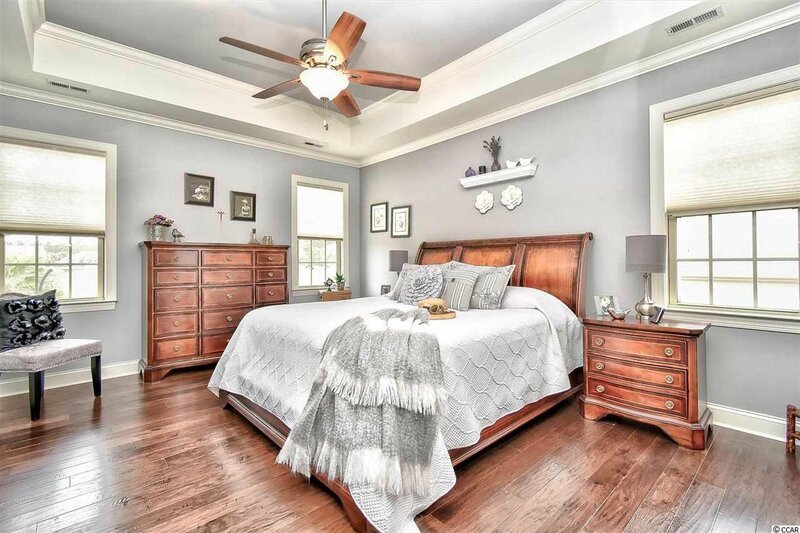 The split bedroom plan offers two large additional bedrooms with plenty of closet space! 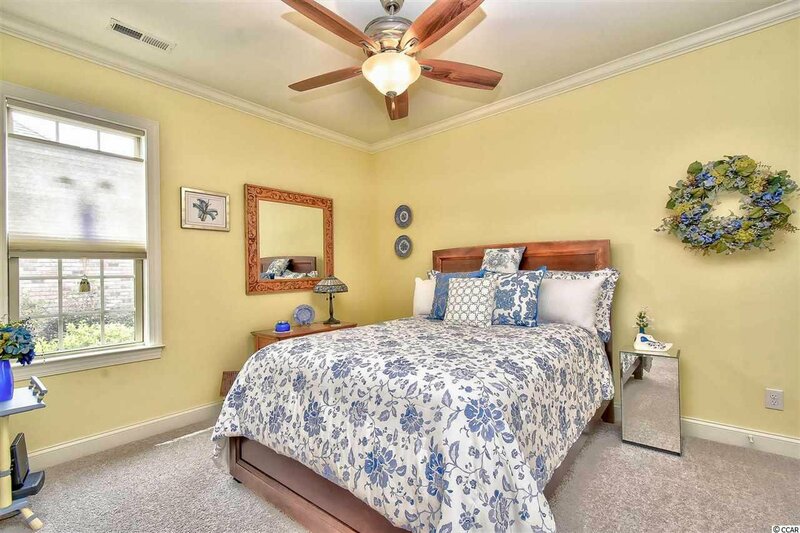 If you enjoy the sunshine, take advantage of the beautiful Carolina Room. 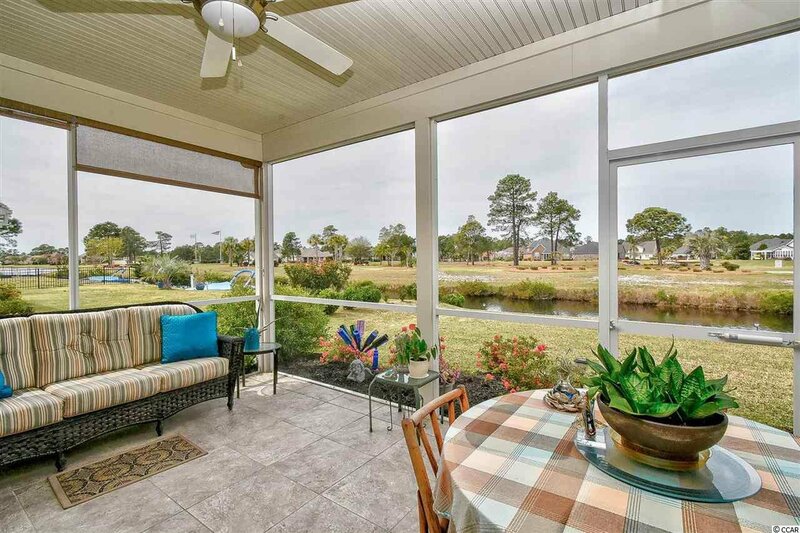 In addition to the Carolina room you also have a screened patio area with a beautiful view of the water and lovely professional landscaping. 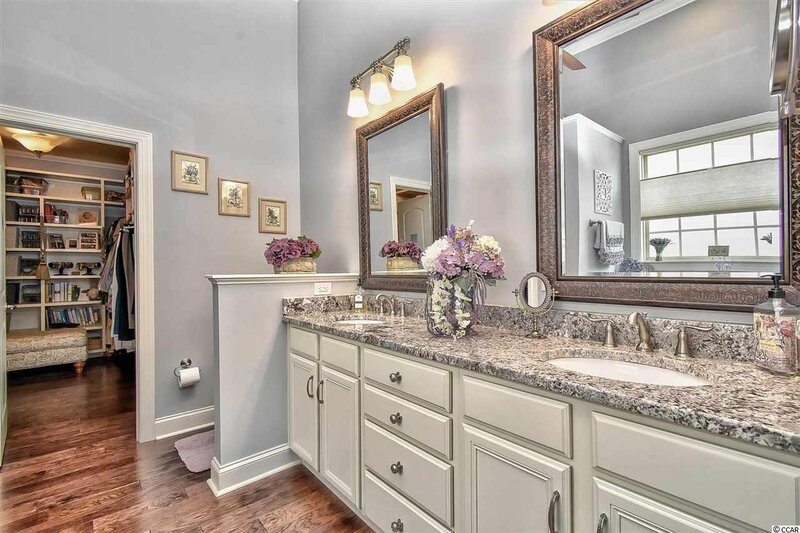 There are French drains and 2 water meters. 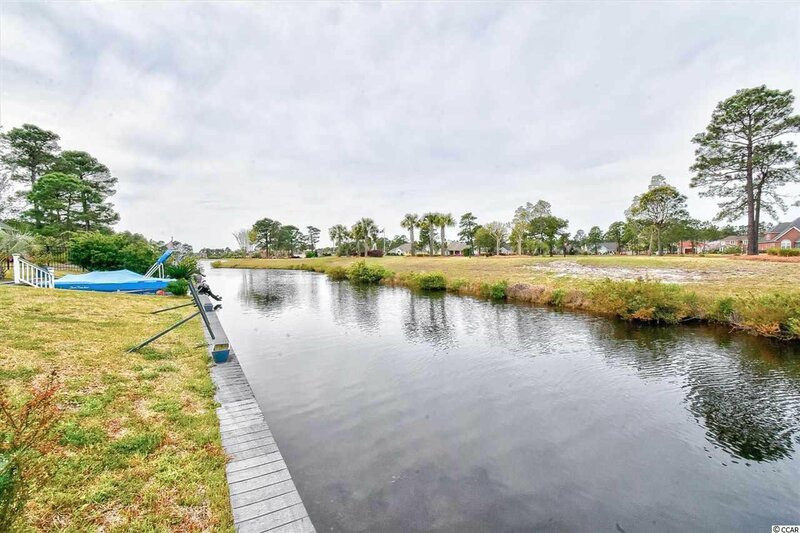 The bulkhead barrier wall separates the water from the property. 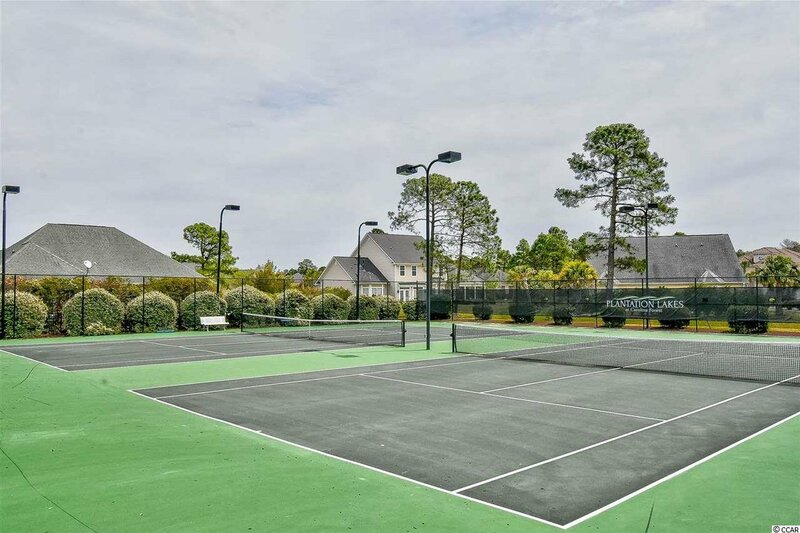 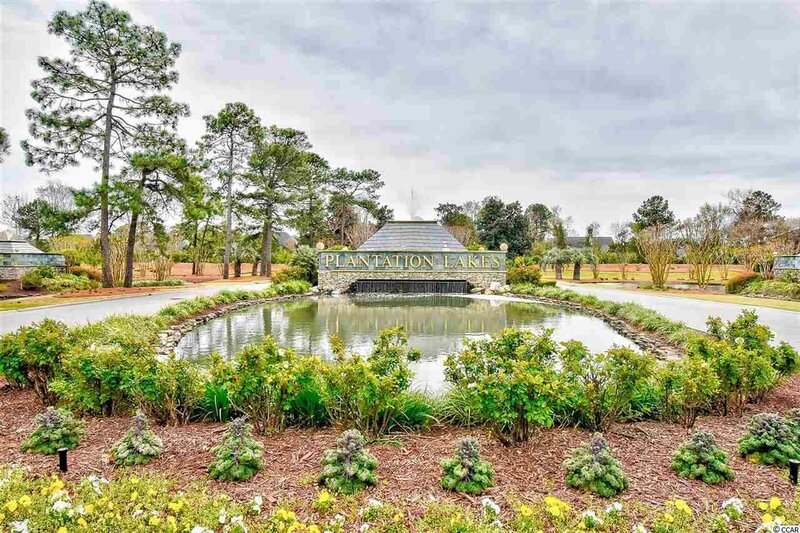 Enjoy this water-lovers dream community with clubhouse, 2 pools, tennis courts, fitness center, boat storage and community docks. 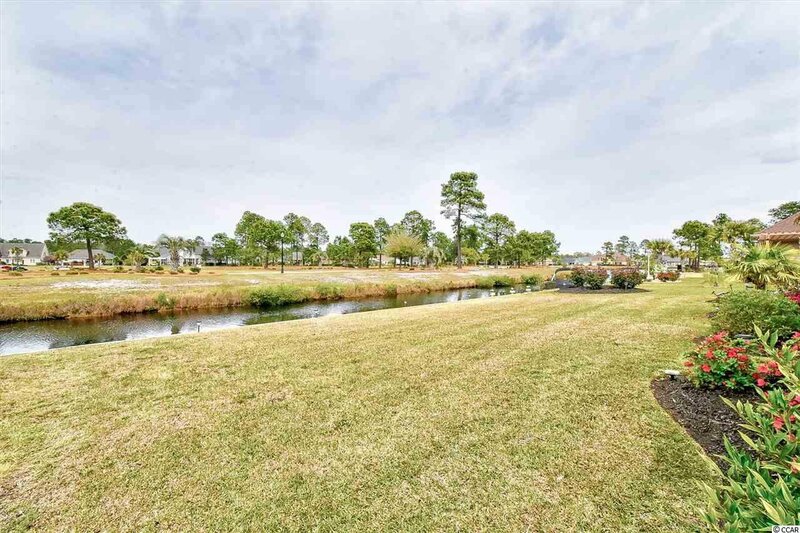 Bring the family and take advantage of the children's playground area. 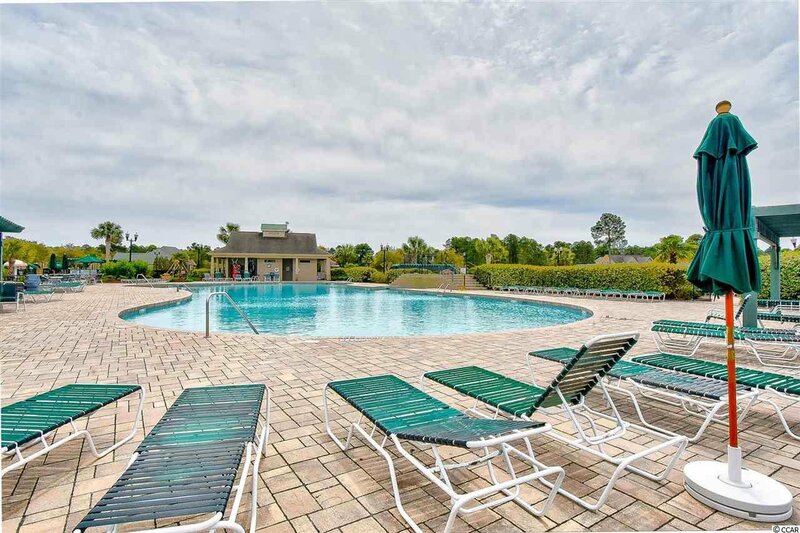 This is the perfect location for your family, offering highly rated schools. 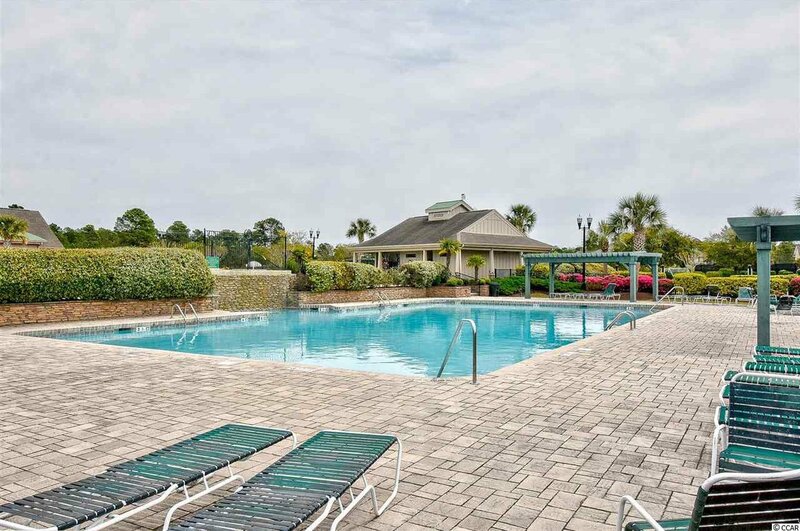 Come make this your home and enjoy all of the shopping, dining and entertainment that the Myrtle Beach area has to offer.